Today is the birthday of William H. Gerst (April 1, 1847-March 10, 1933). 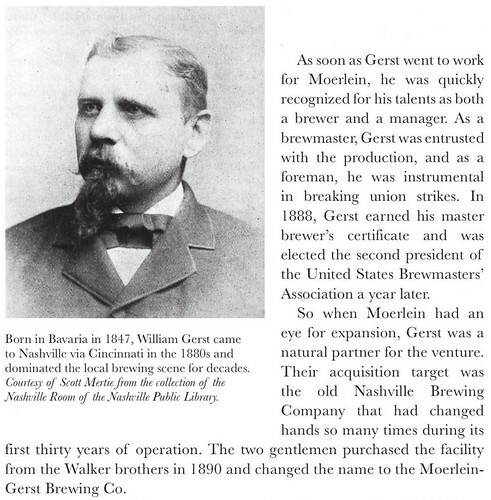 In 1890, along with Christian Moerlein as a partner, he bought the Nashville brewery that was founded in 1859. 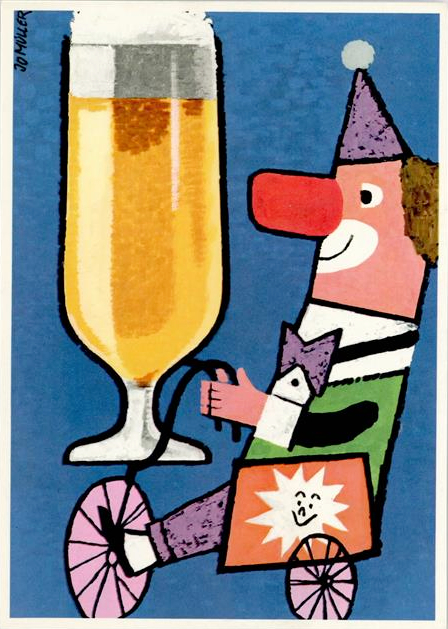 A few years later, he bought out Moerlein and his brewery became known as the Wm. or William Gerst Brewing Co. until it eventually closed down for good in 1954. Here’s Gerst’s history from the Gerst Haus in Nashville, Tennessee, which Gerst’s grandson opened in 1955. William H. Gerst was born in 1847, coming from a long line of brewers in the Bavarian region of Germany. 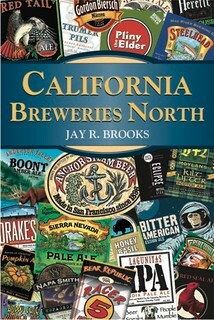 A short time later the National Brewing Company was established in 1859 and changed hands several times. In 1890 Christian Moerlein and William Gerst went into partnership to open the Moerlin-Gerst Brewing Company, until Gerst bought out Moerlin and the brewery became William Gerst Brewing Company in 1893. The brewery was located on 6th Avenue South here in Nashville, Tennessee. 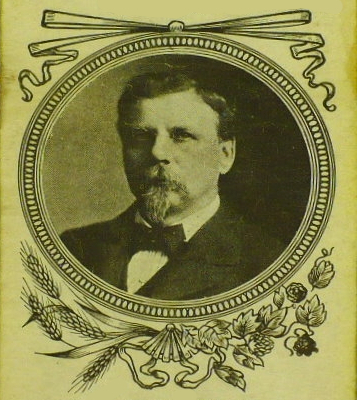 William Gerst received a Master Brewers Certificate in 1888, and in 1889 was elected the second President of the United States Brewmaster’s Association. Gerst had a passion for horse racing. In 1910 his horse by the name of Donau won the Kentucky Derby in 2 minutes, 6.5 seconds, and is to this date the only horse owned by a Tennessean to win the derby. Gerst was a prominent business man and also a family man with 4 sons and 2 daughters. The sons all worked in the brewery and eventually would come to run the brewery. 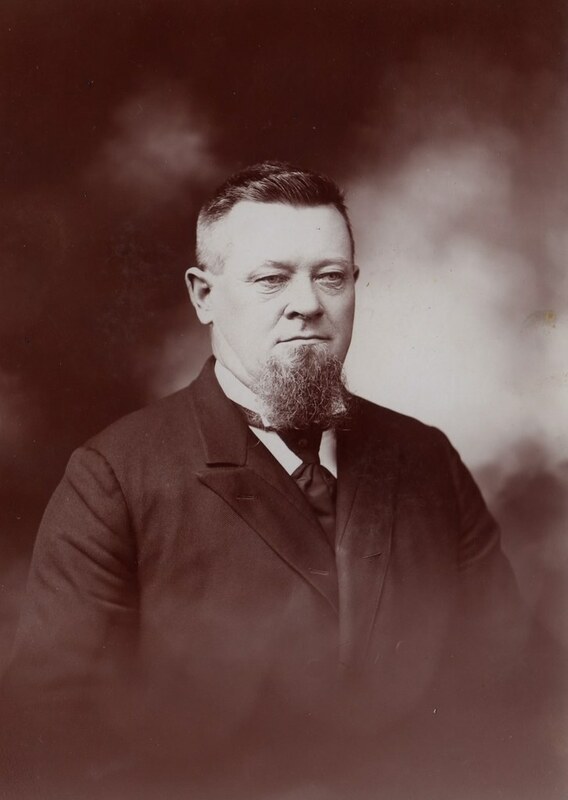 William Gerst retired from running the brewing business due to Prohibition. He died on March 10, 1933 and never got to see his brewery after the Prohibition law was repealed that same year. 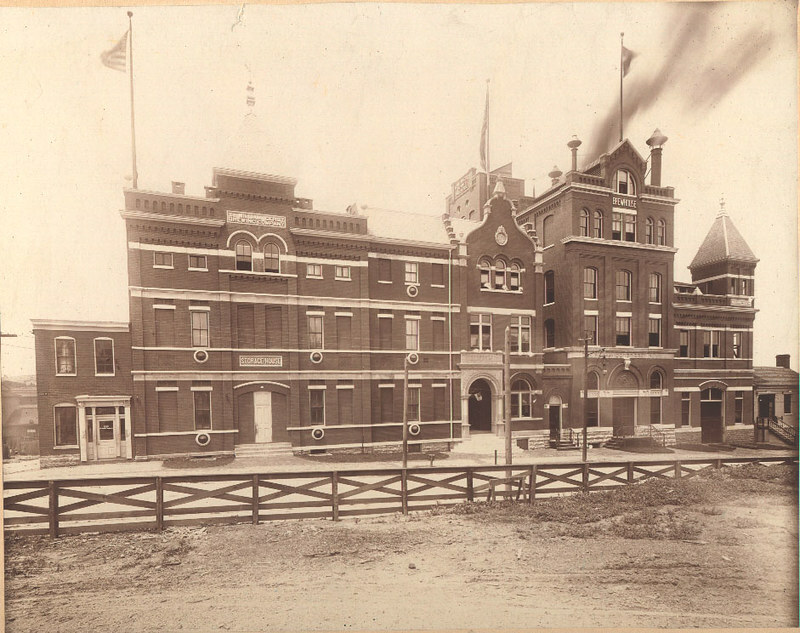 The brewery closed in 1954 and the original building was demolished in 1963. William H. Gerst was a pioneer in the brewing industry and was also known as the king of advertising. He promoted a variety of his beers at the Tennessee State Fair and Centennial Exposition, gained lots of attention for creating cone-top cans and labeled it as “Brewed in Dixie,” before Prohibition practically shut down the brewery. 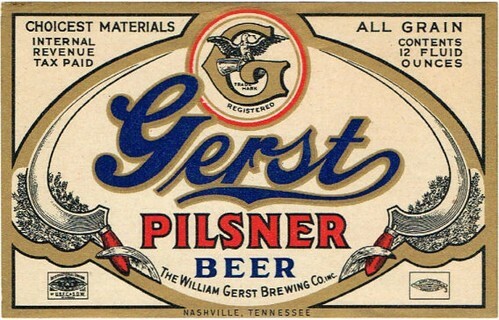 Gerst lost his desire to brew malt beverages, near beers and other non-alcoholic drinks (Cola-Pepsin, Imperial Ginger Ale, sodas) during Prohibition, paving the way for his four sons to take over the brewery. 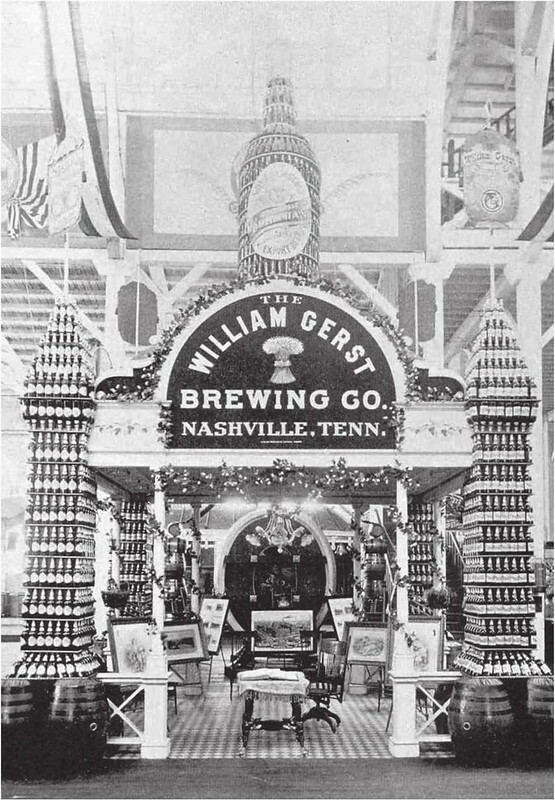 The Gerst Pavilion at the Centennial Exhibition, made from beer bottles and featured a 2,500-gallon cask of beer. Today is the birthday of Carl W. Conrad (April 1, 1843-	October 26, 1922) Conrad’s widely believed to be the person who created the name Budweiser, and was a friend of Adolphus Busch, whose brewery did a contract beer for Conrad, which was marketed as Budweiser, but which later became the property of Anheuser-Busch. Conrad, a good friend of Adolphus Busch, is usually credited with helping to develop the recipe for Budweiser beer. The brand name was first registered in the U.S. by Conrad, an importer of wines, champagnes & liquors. The Anheuser brewery produced the brand for him under contract. 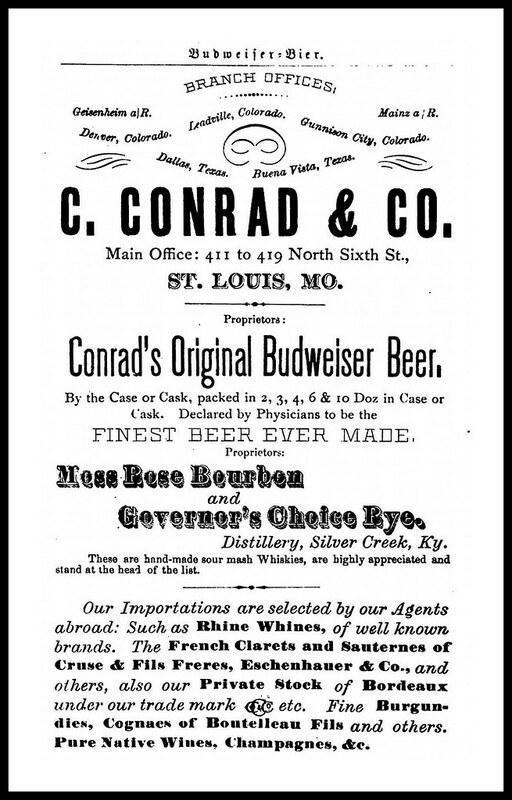 C. Conrad & Company had offices in Germany & in St. Louis & Adolphus got the rights to Budweiser when Conrad’s company went bankrupt in 1882. 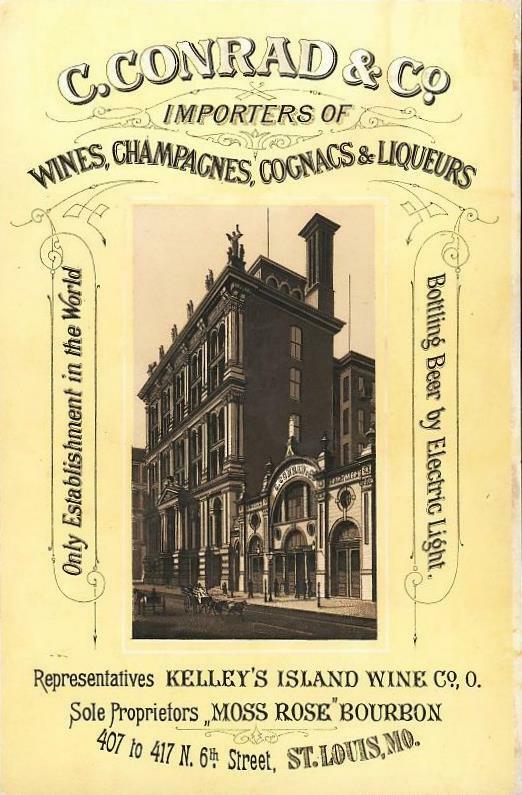 To pay off Conrad’s debts to the Anheuser-Busch Brewing Association, the brewery assumed control of Conrad’s company & the brand name Budweiser. Conrad was given a lifetime job with Anheuser-Busch. In 1876, he and his friend, Carl Conrad, created an American-style lager beer that succeeded beyond anyone’s expectations. Adolphus coined the label “Budweiser”, a name that would appeal to German immigrants like himself, yet could be easily pronounced by Americans. 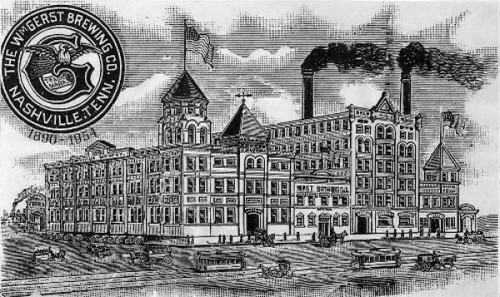 Budweiser was a success and eventually, became the company’s flagship brand. 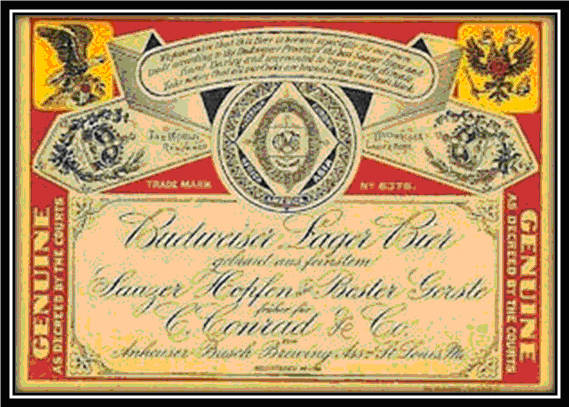 A Budweiser label in 1876. 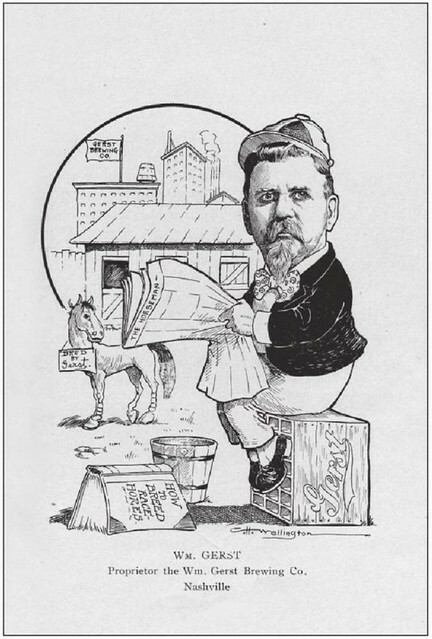 In a 2006 magazine article by Bill Lockhart, Pete Schulz, David Whitten, Bill Lindsey, and Carol Serr, entitled “Carl Conrad & Co. – The Original American Budweiser” they go further in depth about the story of the beer. Although Carl Conrad was neither a brewer nor a bottler, he contracted with AnheuserBusch, then the brewers of St Louis Lager Beer, to brew and bottle his beer for him. Conrad advertised his beer as “the Original Budweiser,” and there seems to be no doubt that his was the first use of that name on the American market. Although he was only in business for about six years, his use of embossed monograms on export beer bottles assured him a place in the history of manufacturer’s marks. Carl Conrad, a friend of Adolphus Busch, toured Europe in the mid-1870s, returning by 1876. 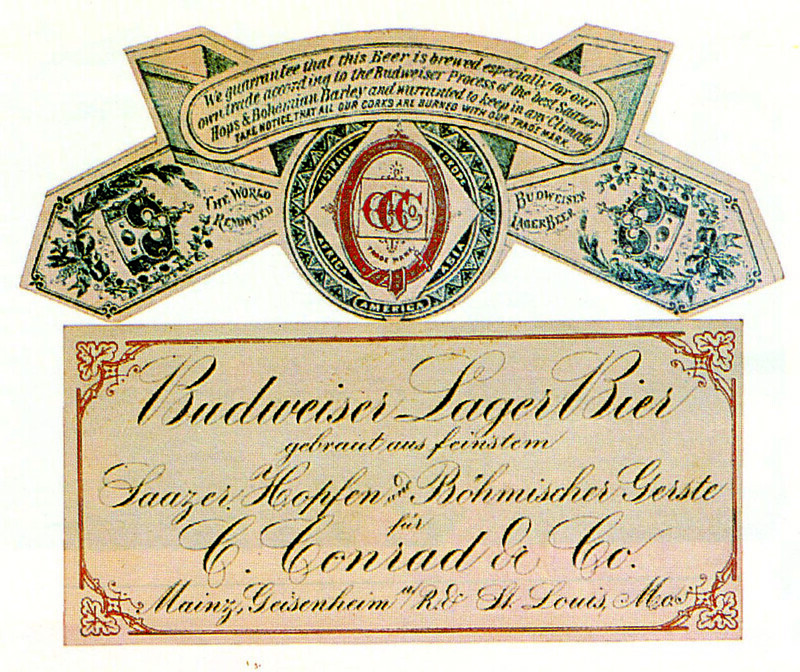 According to Clint (1976:74), Conrad dined at a small monastery in Bohemia “where he was served a brew he declared to be ‘the best he ever tasted.’” Upon his return, Conrad began setting up Carl Conrad & Co. to market Budweiser Beer (named for the town of Budweis in Bavaria), although Conrad neither brewed beer nor manufactured bottles. Adolphus Busch actually made and bottled the beer, and a series of glass factories made the bottles. Conrad was initially successful, rapidly expanding his territory until his beer was sold nationwide. However, the business went downhill in the early 1880s, and Conrad declared bankruptcy on January 15, 1883. Baxter [another historian] hypothesized that Conrad was forced out of business because of the bottle shortage in the West. Beer and other bottled products were shipped long distances by wagon under difficult conditions. Because of this, the empty bottles became an important commodity. Miles [still another historian] confirmed this shortage during an earlier period, when he noted that “teamsters could purchase a dozen bottles of liquor in Missouri for four dollars each, drink the contents along the way, and trade the empty bottles for six dollars worth of produce each in New Mexico.” Thus, virtually all bottles were reused. It is particularly true of the Southwest that a proliferation of bottles was directly tied to the arrival of the railroad. For breweries to profit from container sales, it was important that most bottles be returned. Unfortunately for the original bottler, the bottles were often not returned to the owner (the brewery) but continued to be refilled by competitors at the point of sale or elsewhere. The railroads alleviated the problem to some extent, but there were still many remote areas where bottles continued to be valuable well into the late 1880s or even later. Baxter’s argument that Conrad may have lost so much money on bottles that he was forced into bankruptcy thus is plausible. 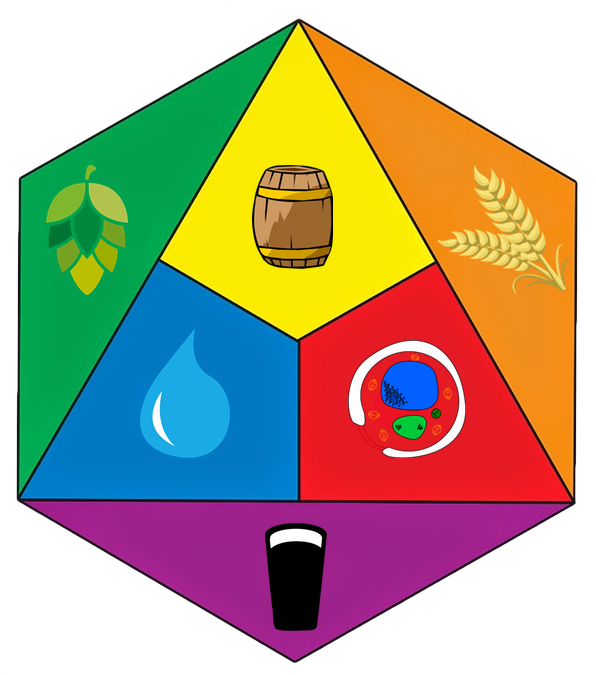 Baxter’s hypothesis, however, fails to explain why other brewers remained in business under the same circumstances. The New York Times (1/17/1883), however, offered an alternative explanation, claiming that the very success of Conrad’s venture led to its demise. Conrad had grown so fast that he “erected new buildings on Sixth street, entered them, and established branch houses throughout the country.” Because “their branch houses were so scattered they found it impossible to get in collections as rapidly as they were needed” (New York Times 1/23/1883). Clint [yet another historian] provided examples of this expansion, noting that Conrad opened Colorado “outlets” at Denver and Leadville in 1881 and two more at Gunnison and Salida in 1882. Although “collections” probably referred to money, the beer bottle problem noted by Baxter may also have contributed to the overall problem. At the top of the list of Conrad’s principle creditors was Anheuser-Busch, although Adolphus Busch informed the paper that Conrad’s assets were expected to be sufficient to cover the debt. A meeting of the creditors on January 22, however, showed that Conrad’s assets would actually be about $140,000 short of paying all his bills (New York Times 1/23/1883). When Conrad declared bankruptcy in January 1883, the Lindell Glass Co. was one of the largest creditors, being owed between $32,000 and $33,000 by Conrad. 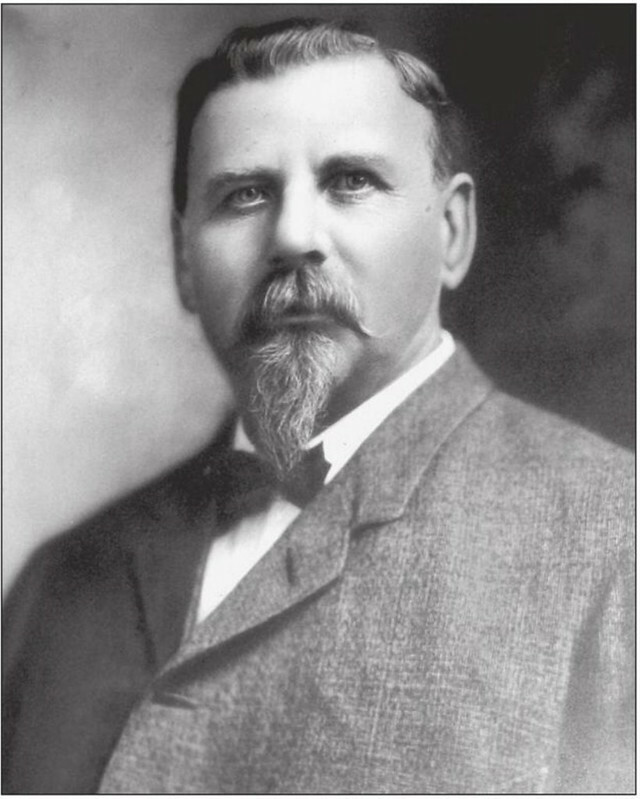 Although the loss hit Lindell hard, a local source stated that Lindell’s “continuance in the bottling business is almost an assured fact” (Crockery & Glass Journal 1883:30) – and that certainly proved true. 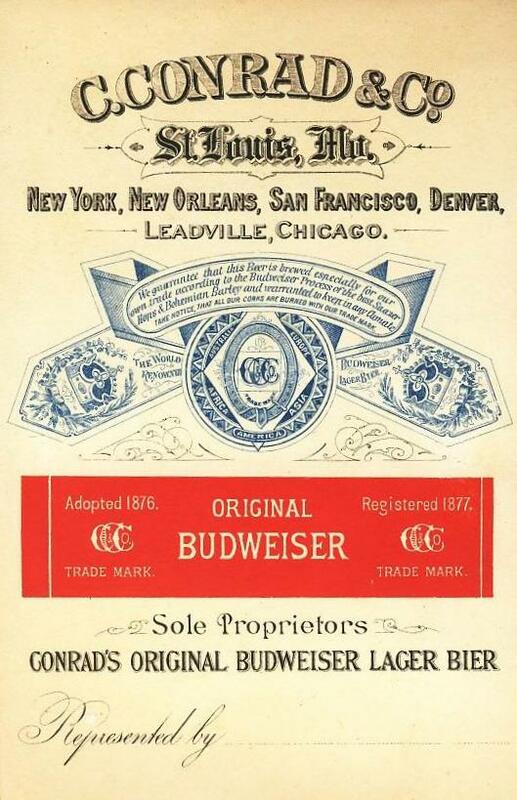 By 1886, Conrad’s Budweiser label was looking a lot like the Anheuser-Busch label it would become. See the Evolution of America’s Most Famous Beer Label for a look at the label’s progression from 1876 to 2000. 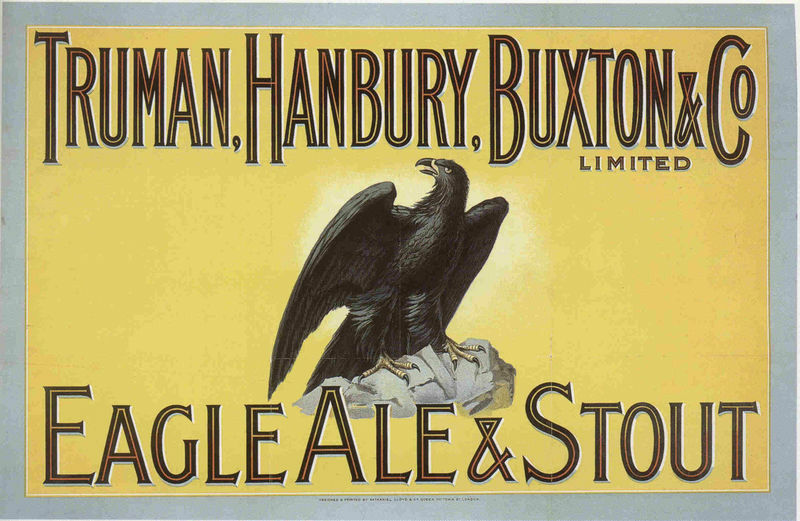 In 1808 [Sampson] Hanbury’s nephew, Thomas Fowell Buxton, son of Thomas Fowell Buxton of Earl’s Colne, Essex, and Anna Hanbury, joined the brewery, aged 21 or 22. 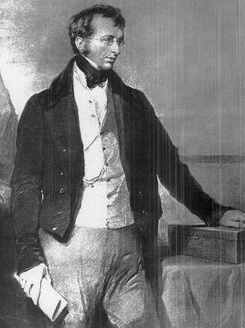 Buxton (who was not a Quaker, though his wife was) became a partner in 1811, at the age of 25, with a 1/12th share, bringing the last element to what would eventually, by 1827, be called Truman, Hanbury, Buxton and Company. 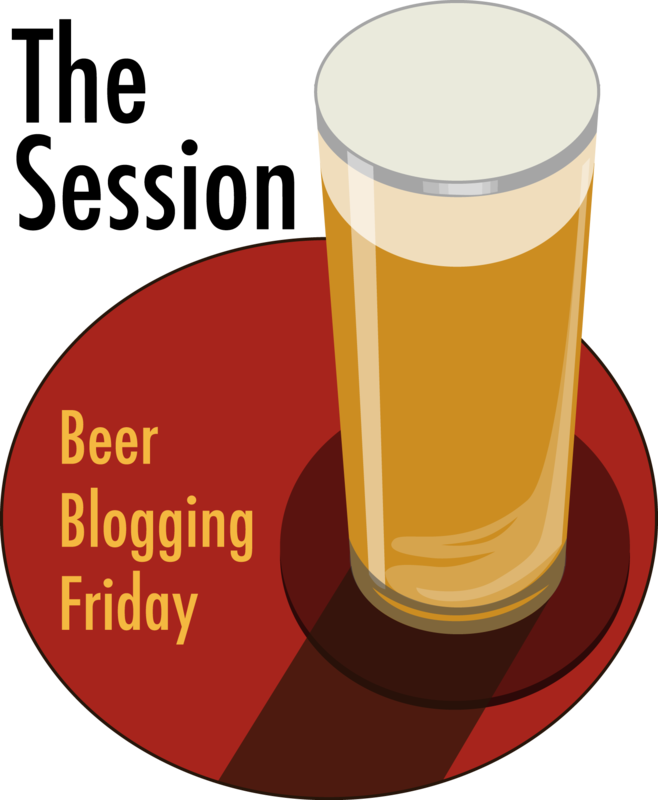 By now the Black Eagle brewery was making 142,179 barrels of beer a year, some 20,000 barrels more than Whitbread, but a long way behind the number two London brewer, Meux Reid in Liquorpond Street, near Clerkenwell, on 220,000 barrels, and trailing Barclay Perkins in Southwark, on 264,405 barrels a year, by a large margin. Buxton’s wife was one of the Gurneys of the Norwich bank, and a cousin of Sampson’s wife Agatha. A few years after he became a partner, in 1815, the shares in the brewery were redivided into 41 slices, and Buxton, evidently after bringing in some extra capital to the firm, increased his share to 8/41ths. 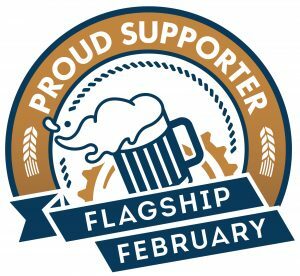 His greatest gift to the brewery was sorting out the management of a concern that, by 1815, owned 200 pubs outright and financed another 300 landlords. But he also successfully intervened to prevent a disaster that might have destroyed the business. 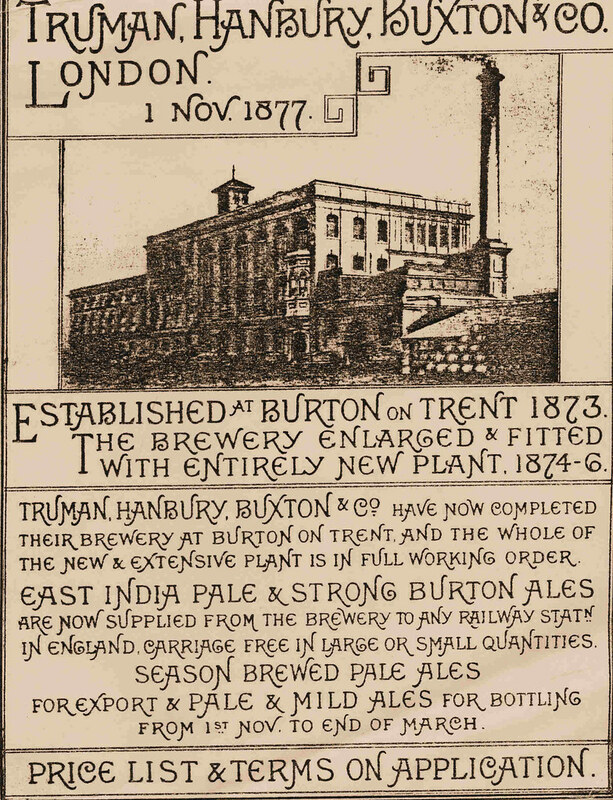 In 1888, Truman, Hanbury, Buxton & Co became a public company with shareholders, but the balance of production was now shifting to Burton. The Brick Lane brewery site covered six acres by 1898. 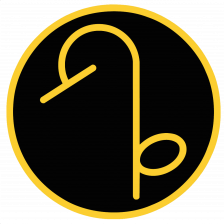 The Brick Lane facility remained active through a take-over by the Grand Metropolitan Group in 1971 and a merger with Watney Mann in 1972, but it was in terminal decline. It eventually closed in 1989. 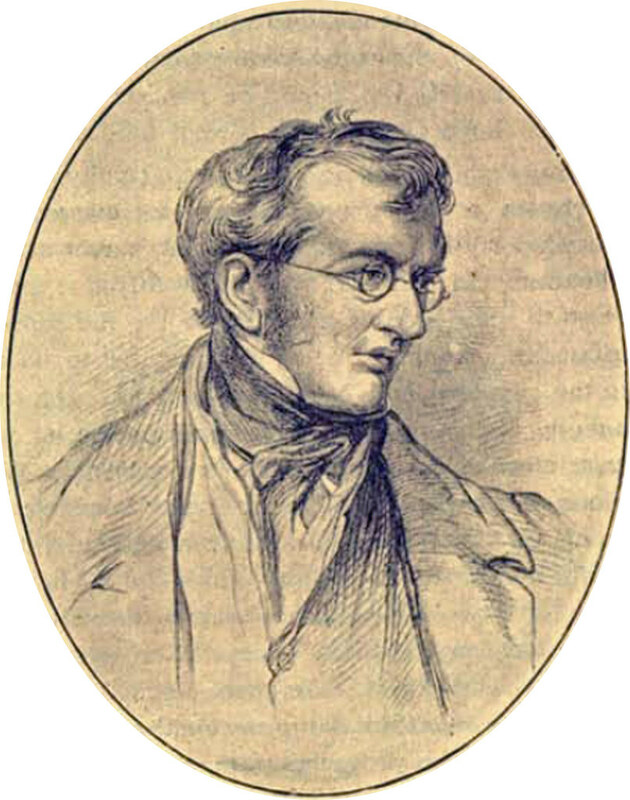 Sir Thomas Fowell Buxton was born in Essex in 1786. He was privately educated and went to Trinty College, Dublin. He became a close friend of Joseph Gurney after his mother (a Quaker) introduced him to the Norfolk based family. He started to attend Quaker meetings with the Gurney family and married Joseph’s sister, Hannah, in 1807. 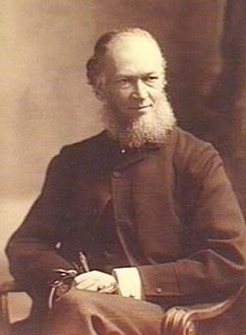 He became a partner in a brewing company and became involved in several campaigns for social reform. Another of Joseph’s sisters was Elizabeth Fry and Buxton became involved in her campaign for prison reform. In 1818, Buxton was elected MP for Weymouth, a position he held until 1837. He was a strong advocate for the abolition of slavery in the British Colonies. In 1823, he formed the Society for the Extinction of the Slave Trade, the committee that co-ordinated the campaign for total abolition. In 1824, he succeeded William Wilberforce as head of the anti-slavery party in Parliament, continuing the struggle until the Slavery Abolition Act, in 1833, freed all enslaved people in the British Empire. 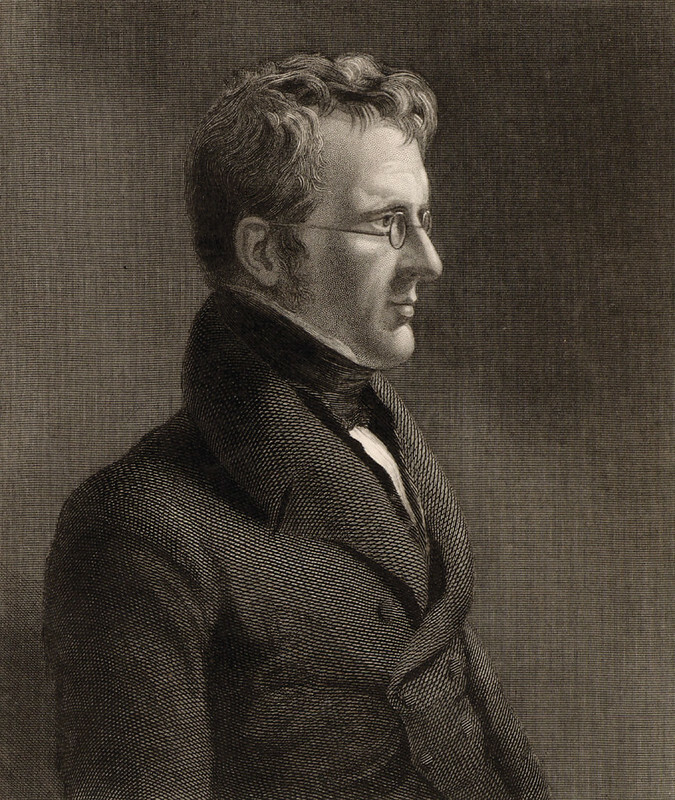 In 1838, Buxton published The African Slave Trade and Its Remedy. In this book, he told the British government to make treaties with rulers in Africa. An expedition was sent in 1841 to put the plan into action but it failed, mainly because of the large number of deaths among the expedition members from yellow fever and malaria. You can read an account of this expedition in White Dreams, Black Africa: Antislavery Expedition to the Niger, 1841-42 by Howard Temperley, 1991.